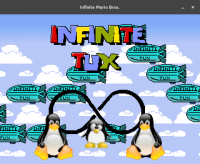 Infinite Tux is a free game. This means that the source code is available to be studied, modified, and distributed. Most projects look for help with testing, documentation, graphics, etc., as well. 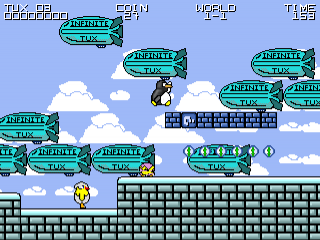 Infinite Tux is a 2D platformer game inspired by Infinite Mario. The game is procedurally generated every time it is replayed so you always play a different game. All of the original Nintendo assets have been replaced with free and open assets. 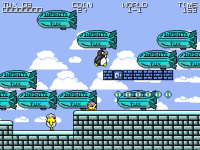 The game was originally written and released by Markus Persson(Notch) of Mojang as Infinite Mario Bros using Nintendo assets. Notch released the source code as public domain with a note stating that someone should replace the assets with open assets. I had to focus on my main project. This was just a fun side project. I didn't feel comfortable abusing copyrighted material for non-personal use, and neither should you. The competition this was an entry for ended. I'm releasing the source code for this project since I've gotten quite a bit of email with really good suggestions on how to make this better, but I don't have the time to implement them myself. The code (/src/) is released as public domain, so you can do with it what you wish. The art (/res/) is still copyright nintendo, so it's almost certainly NOT ok to do anything at all with it. Ask nintendo. And, please, if you're going to make a bigger project out of this, please consider replacing the art with legal art. 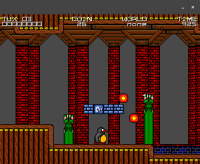 Since this note, all of the Nintendo assets were replaced with CC and GPL assets and and thus Infinite Tux was born. The game is completely open source now. 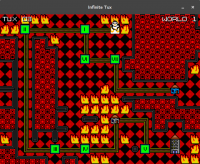 1-up.wav r -> replaced with fire-flower.wav from supertux sound inventory. This page was last edited on 7 March 2019, at 18:12.